Same magic finger technology as Bag-A-Nut Rollers but in a convenient, portable handheld unit! Features easy grip handle that is portable and a sufficient length to prevent back breaking bending over. 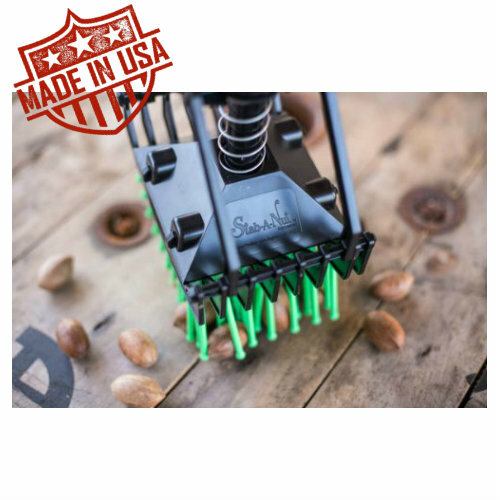 Easy release handle and sturdy, durable head makes this a great tool for many nut seasons to come.